At K & J’s Custom Granite, we are frequently asked by Edmonton homeowners how they can create a specific atmosphere in their kitchens that not only compliment the rest of the home, but also serve up an atmosphere all its own. If you’re thinking about what best suits your taste today, as well as what may appeal to a future homeowner should you ever sell your house, few finishes can beat the versatility of white quartz. White quartz not only provides a clean, sanitized finish which is great for surfaces where you will prepare food as well as entertain your friends and loved ones, it provides a great foundation for most any atmosphere that you want to create for a space that you will enjoy and want to share with everyone who visits. But white doesn’t mean that your kitchen doesn’t breathe a life all its own. You can set the tone with these color and design combinations. White quartz countertops, accompanied by a contrast of chocolate brown accents and floors create a rich, warm setting that draws attention to each feature individually and brings the whole space together. If your kitchen is a setting that you want to feel relaxed, that can be readily accomplished by complimenting your white quartz countertops with subdued green and brown earth tones, perhaps even with some subtle natural foliage to bring the feeling of the outdoors into your living space. The classic contrast of black and white will probably never lose its appeal in our lifetime. The smooth, white contours of white quartz counters and table tops set against black cabinetry, appliances and accents brings the focus of the room to your surfaces where the action happens in your kitchen. While a setting for a lot of activity in the home, you can create the carefree atmosphere of the beach by combining white quartz countertops with subtle blue accents and trims throughout your kitchen that sets a seaside tone that will make you feel more closely connected to your next restful getaway. It is possible to combine a contemporary design with a vintage theme in your kitchen and white quartz can contribute greatly to that environment. White quartz, complimented by cottage-style cabinetry and fixtures create a timeless kitchen that is all your own but still reminds you of years past. Stainless steel appliances in contrast to white quartz create a strong impression in any kitchen. The reflective nature of all surfaces make a great fit for not only residential but also commercial kitchen spaces that are sure to withstand the test of time. When creating the impression of an open and welcoming space, few combinations are more effective than that which comes together when you combine your white quartz countertops with muted teal walls and room accents. It gives the room a bright and open feel that makes you want to find a seat and relax a while. For these and other color and design combinations, we welcome you to connect with us. 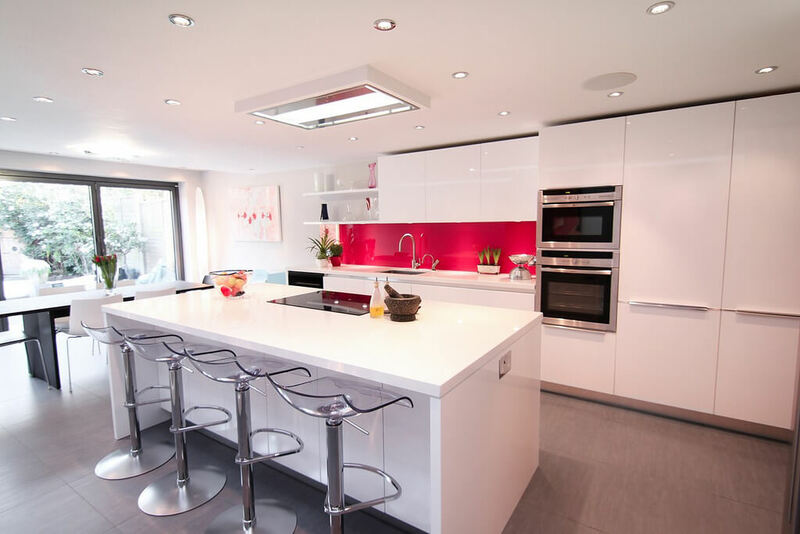 Call us, e-mail us, or drop in to see us in our showroom to explore whether white quartz is the best choice for your kitchen design or renovation project. What Is The Right Colour of Granite for Your Home?